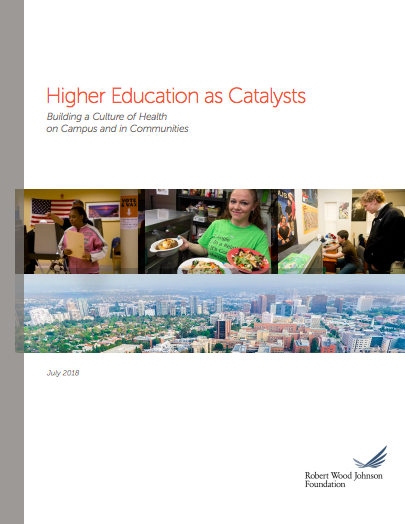 This report from the Robert Wood Johnson Foundation highlights the role of colleges and universities in promoting health and wellbeing, both on campus and in their surrounding communities. The report features the work of The Democracy Collaborative on furthering higher education institutions’ roles as anchor anchor institutions. The report synthesizes best practices and lessons and includes case studies of inclusive local hiring, purchasing, investment, and real estate development.